O'Rourke's Store - Mrs. William O'Rourke served as postmistress in this building making it 'incorporated' Stockton's first official post office. 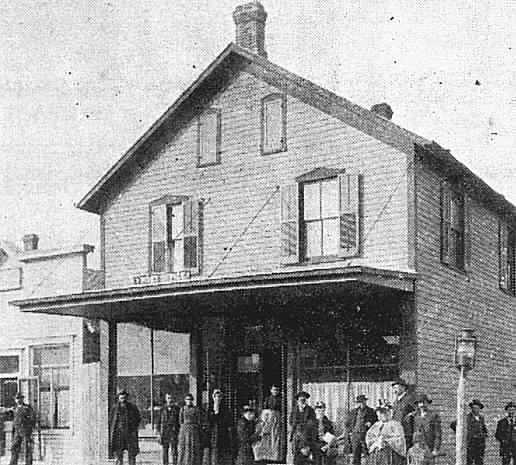 They also sold groceries, provisions, dry goods, boots, shoes and rubbers. According to Mrs. O'Rourke, "My goods and prices will suit the times." It was on the corner of Main and Front Streets.